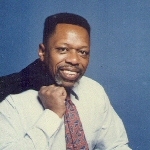 Dr. Howard J. Jones, an independent historian and retired Professor of History at Prairie View A&M University, Prairie View, Texas, lives in Houston, Texas. He is the author of African Americans: Their History (1997) and The Red Diary: A Chronological History of Black Americans in Houston (1991). Dr. Jones who received his Ph.D. in 1975 from Washington State University, founded the Southern Conference on African American Studies in 1979 and is Secretary-Treasurer of the organization. He is also a member and former Vice-President of the Association of Caribbean Studies and a member of the Southern Historical Association and the Association for the Study of African American Life and History.